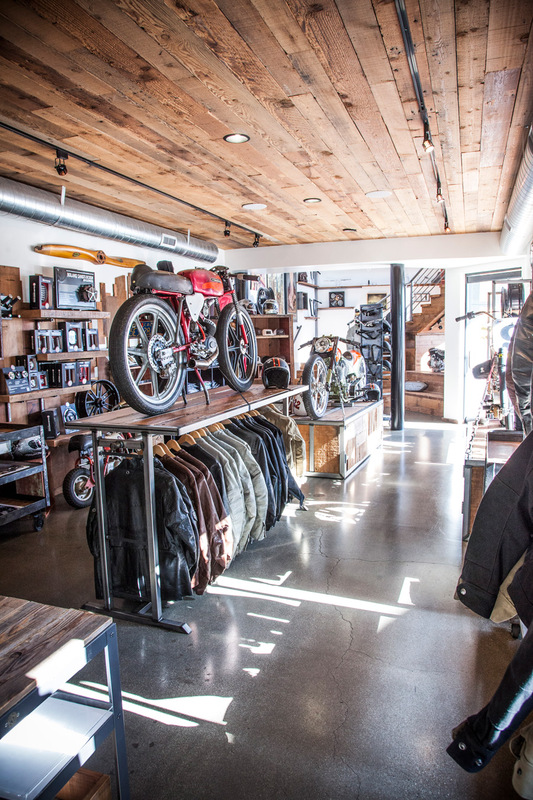 If you live in Southern California and are a motorcycle aficionado, chances are you are familiar with Roland Sands. 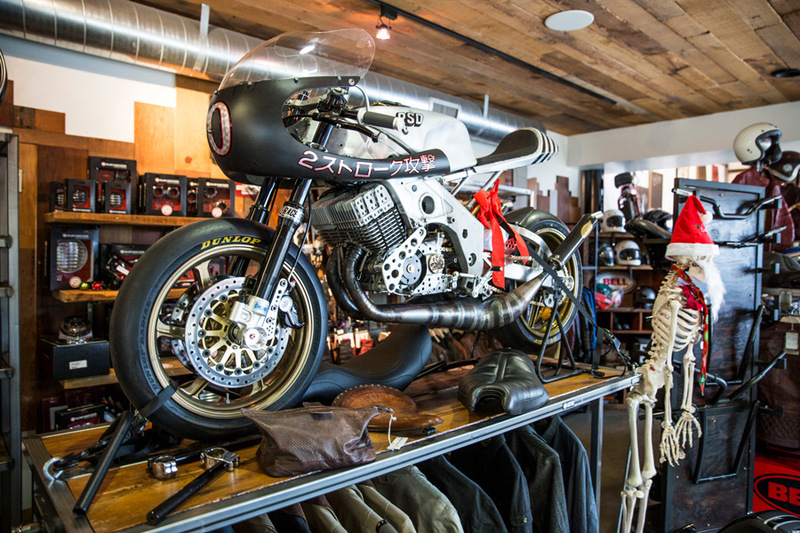 The owner of Roland Sands Design, located in Los Alamitos, CA, has been involved in the industry as a racer, builder, and designer for most of his life. His career started very early, working for his father’s company, Performance Machine, where he literally swept floors at the age of 14, while being completely immersed in racing. A national champion at a young age, his fascination with all things motorcycle came the easy way: he needed to learn about them in order to fix whatever was needed in order to keep on racing. 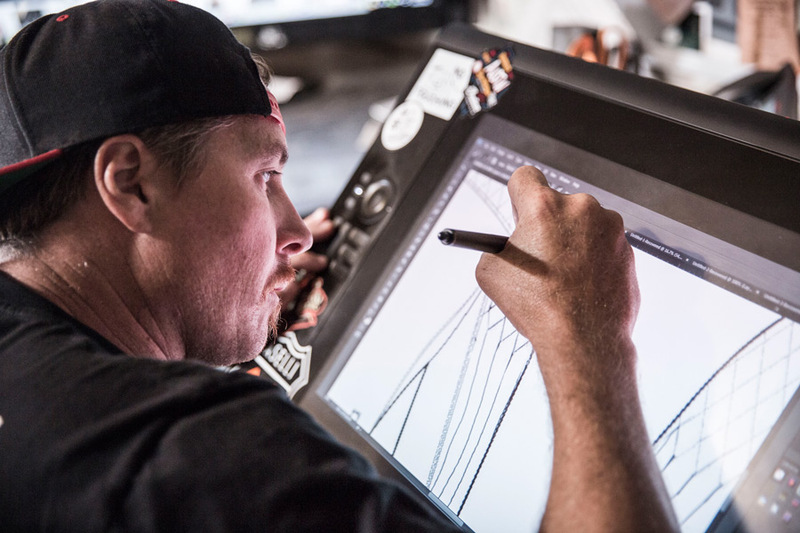 He eventually made his way to Director of R&D at Performance Machine, and, as fate would have it, an appearance on Discovery Channel’s Biker Build-Off, where he faced off against industry legend Arlen Ness, would propel him to unprecedented success, leading to the formation of his own company, Roland Sands Design. 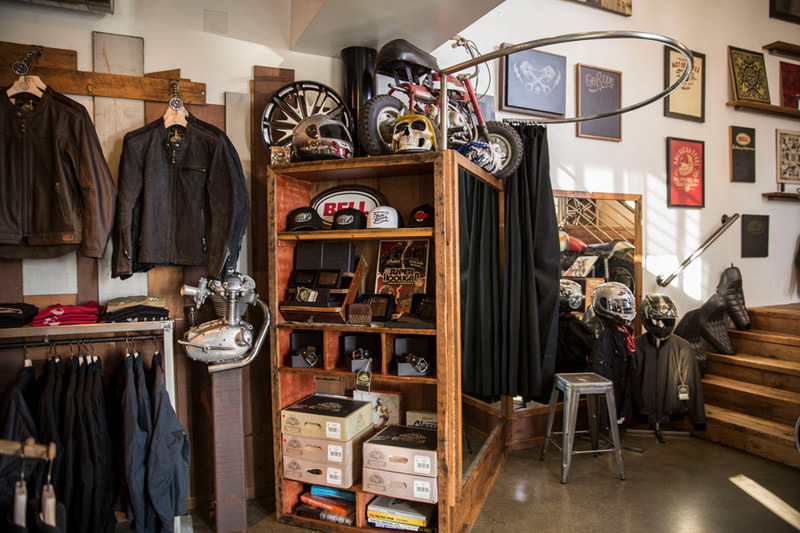 We met at his Los Alamitos shop—part garage, part design shop and retail outlet, it is truly a candy shop for anyone who loves motorcycles, this writer included! We sat with the affable Sands (now an ever-youthful 41 years old) in between the seemingly 50 things he is in the middle of at the moment. Is motorcycle building still at the core of your business? We are still building bikes, and it is at the center of what we do, but we also have a very substantial parts business, where we provide custom parts for manufacturers such as BMW, Indian, and, of course, Harley Davidson. In addition, we also have a very significant apparel design, retail, and distribution operation that is growing leaps and bounds. It appeals to everyone, even those who don’t ride. We thought then, as we do now, that if we design and produce very high-end apparel, soft leathers, and fitted designs that are not littered with labels and not so racing-influenced, we could market those to the public. This has proven true and successful. Considering the up and downs of the industry, did you think that success would continue to find you, and that, some 12 years later, you’d still enjoy the fruits of your labor? Well, first, let me tell you that I feel that we are just uncovering the tip of what we can accomplish. The last decade or so, since we’ve started RSD, we have been fortunate to take a look back at designs I had drawn up in the early days and realize that we actually have produced those things and that customers get to enjoy them. It’s a little crazy, but ultimately, very rewarding. We have been in the enviable position of seeing our business grow quickly in the last few years, more than we had anticipated. Lastly, one thing that we are doing more and more these days is events. It is what people want, and we are very happy to be able to produce those at an increasing rate. Experiences are what humanity wants, and our events provide this. We are in the business of curating a lifestyle that people aspire to and want. What is new on the horizon for RSD? We are very excited about our new collaboration with BMW Motorcycles, where we are customizing an R7 that will blow people’s minds. We’ve been involved for more than two years in this project, and this is literally the next level for us. But, what really is thrilling to all of us at the moment is the music festivals that we get to put together. One of them is the upcoming Motor Beach Classic featuring groups such as Social Distortion, Pennywise, Offspring, Rancid, and Black Label Motorcycle Club, among others. For that occasion, we are also building, for the first time, a flat-track racer that we will race on the beach! You’ve just built a bike for Travis Pastrana, who wowed large crowds in Las Vegas recently, where he duplicated the stunts originally performed by Evel Knievel. On a scale of 1 to 10, how crazy is Travis? He is just on a whole other level. He just thinks differently about what is possible. Most of us sit down and say, “Well… I don’t know that this will work.” Travis already has a master plan on how to do it. Fame is not why he does it, neither for money. He just loves doing it; he just wants to push himself and others to achieve things that were not thought possible. Has fatherhood slowed you down in any way? Hahaha… Well, it tends to do this, doesn’t it? I don’t think slowing down is the right way to say it, but I certainly want to cherish every and all opportunities that I have to be with my family, before my crazy schedule takes over. I just want to find time to make the world a better place and try to grow this brand, beyond me and my image. I don’t want to create just to create. I want this company to be inspired to do something great, and that is what we ultimately care about. I’m just recovering from a couple of injuries, but I still like to get on, and it still brings a smile to my face.